Ganni Floral print dress . Black floral print dress . from Ganni featuring a round neck, a back zip fastening, three-quarter length sleeves, a mid-length and a ruffle trimming. 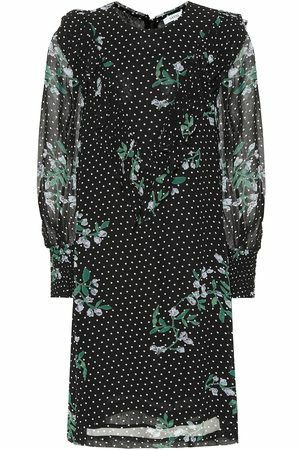 Elm Georgette Dress in ,Floral, . Calla Silk Dress in .